I have picked up a lot of new music in the last few weeks. So much in fact that it has literally frozen me up and I couldn't decide what to write about today. One album does stand out. The self titled album by the band The Airborne Toxic Event, or T.A.T.E for short. If it's true that a picture is worth a 1000 words, then the picture above taken at one of their live shows will help me to keep this post short and sweet. They get compared to everyone from Modest Mouse and The Arcade Fire to the Clash and U2, The Airborne Toxic Event's debut album was one of the most anticipated releases of 2008. 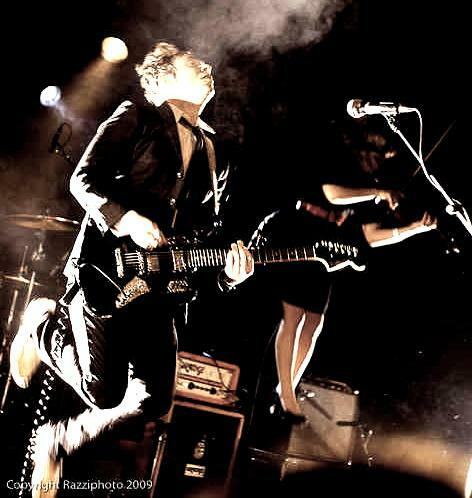 This Los Angles band was named one of the top three L.A. bands to watch in 2008. Previous bands to receive this distinction include Cold War Kids and Silversun Pickups. It's 2009 and I will be listening to this album on the regular. I think after listening to Innocence that you might do the right thing and purchase this album too.